Our used trailers for sale are moving through constantly! Check back with us regularly to see what we have in inventory. 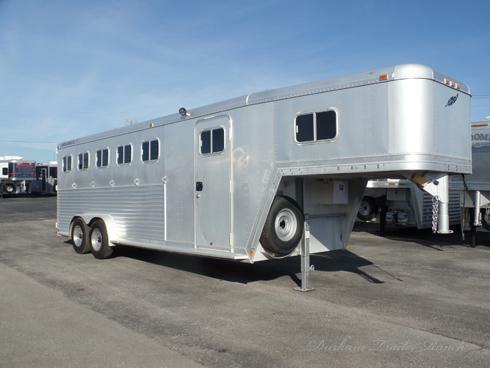 We trade for all brands of good Used Trailers with Living Quarters, Used Livestock Trailers, Used Horse Trailers, Used Bumper Pull Trailers- both used aluminum trailers and used steel trailers. Call Durham Trailer Ranch today!